If you’ve heard about Twitter but never had the courage to give it a try, now’s the time to do it. Publishing – is the Big Five cabal really so…inept? Never heard of Canva? Don’t worry, neither had I until this morning. Canva is a [free-ish] online graphics program? facility? that allows us cash-strapped writers to design our own ebook covers. It also allows us to do a lot of other things, but I only needed an ebook cover so that’s what I played with. The cross hatching is part of the watermark [along with the name CANVA in the middle of the image]. 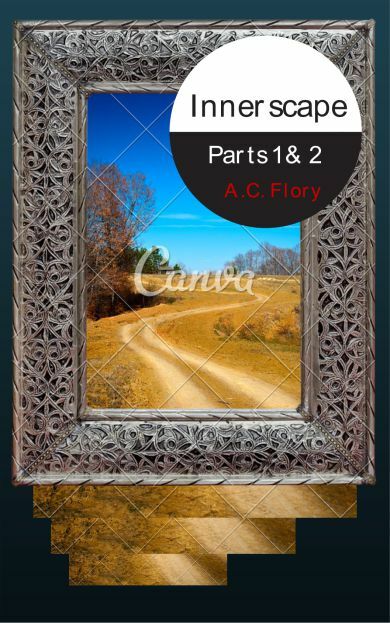 The reason for the watermark is that I chose 2 non-free images for the cover – the landscape and the picture frame. Each image costs $1 – yes, that was not a typo, just one solitary dollar – for both personal and commercial use. So all up, my costs would have been $2. I was very tempted to just pay my money and be done with it, but they have a special deal whereby you can buy 11 images for ten dollars, and I thought ‘oh, parts 3 & 4, and 5 & 6….’. Anyway, a bit about the design. The final, ‘real’ cover will have a different graphic on it, but for the moment I like the idea of mirror images and worlds within worlds and the visual tension of seeing the title as a not-so-subtle price tag. Paradise is only for the rich, after all. Once you are ready to download your newly created image/cover, you are given the option of either paying for any non-free images you have used, or downloading a draft. I haven’t tried the paid option but assume it is the same as the draft one – you get to choose between downloading a 70 DPI resolution image or a 300 DPI pdf file. DPI stands for dots per inch so 70 DPI would give you a reasonable resolution [as in my cover image] but nothing great. The good thing about it is that it doesn’t chew up your bandwidth. My image weighs in at about 75 kb, which is next to nothing. When I downloaded the 300 DPI pdf however, it took quite a while to download and was HUGE. Well over a megabyte of data. I would use the 300 DPI for actual print covers but not for ebook covers. Finding the right balance for the cover image will require a bit of trial and error so that it looks good but doesn’t take half an hour to download. And for those who might like to play with CANVA themselves, here’s the link to a great Indies Unlimited tutorial on how to use it. You’ll never see toast the same way again! Okay, people, I know two posts about writing in as many days is probably a bit much, but this one is so funny! 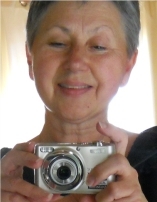 #PublishingFoul – Scammy Publishers beware! Back when I first stuck a toe into the stormy waters of Indie publishing, Indies Unlimited saved me from the ‘sharks’ just waiting below the surface. Now, Indies Unlimited is mounting a month long campaign to warn newbie authors of the dangers, and to provide options to those who have already been bitten. #PublishingFoul is where you will find all tweets relating to the campaign. This post is me doing my little bit. You can do your bit by visiting Indies Unlimited here. You can also come join the debate on the Passive Voice here. If you get the chance, please hop over to Indies Unlimited to read my article on ‘soft’ selling in the digital age. My thoughts on this stem from how I like to be treated as a reader, so I’d be really interested in knowing how other readers [and writers!] feel about it. I’ve turned comments off so please go to Indies Unlimited to join the discussion! Like you, I was born of a dying star. Like you, I was once made of star stuff. Seven billion billion billion atoms of it. Now I exist in the space between the stars. I see you without my eyes. I touch you without my hands. I love you without my heart. Except for tonight. All Hallows’ Eve. Carbon, hydrogen, oxygen, nitrogen, phosphorus, and calcium, along with a smattering of other stuff: they all bind to my soul for one night and I walk with you once again. I am part of the cosmos, but just for tonight, I am part of the cosmopolitan. I have forgotten the formula of how to be flesh, so please bear with me. I have forgotten how to layer skin over muscle. I may have gotten it inside out. I have forgotten the placement of organs and limbs, the texture of hair. I will do my best. You laugh with your friends.”Trick or Treat!” But I know you feel me near. You look around and beneath your laugh you long for affection, not confections. You see me. My eyelids are missing, I think, but I can see you. My hand is a few fingers short, but I can touch you. My bloody heart is bulging through my chest, but I love you. You hold out your hand. With a child’s innocence you see the soul through the stuff of stars. No Costume Required takes the tired old themes of zombies and All Hallows, and turns them inside out. Or perhaps returns them to their original intent. But purpose is not the point; love and longing are. This story literally made me cry. The author is Joan Childs and the venue is Indies Unlimited. Just click on the link above to go to the voting page. If you haven’t read all the stories, there’s a link on the page that will take you to the stories themselves. In Australia, Father’s Day falls on the first Sunday of September, so we are still a long way from celebrating. Anyway, one thought led to another, and after weeks of utilitarian thinking [mostly about work and finances], I suddenly felt a creative tickle coming on. 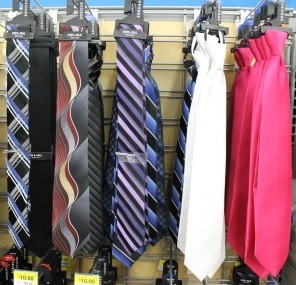 The result is a 246 word flash fiction story about ties and Dads. …along with other great stories by fellow Indie writers.